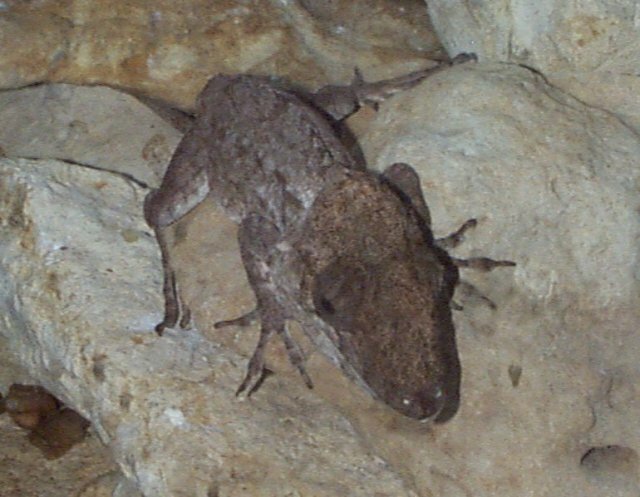 As in most lizards, this animal's external ears are simple ear holes. It has a horn in the center. Males and females are about the same. 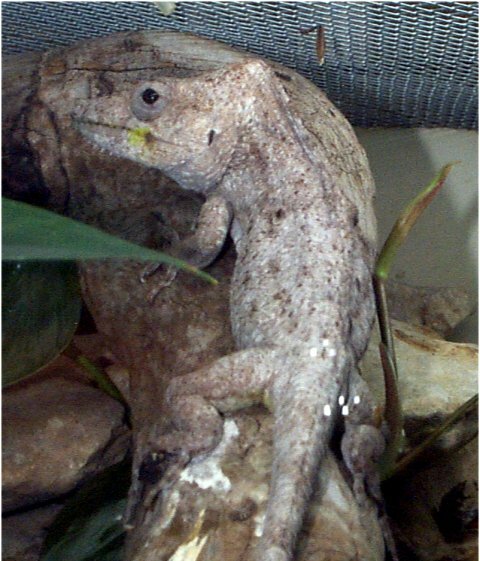 These lizards are called "false chameleons" because they are actually closely related to anoles. 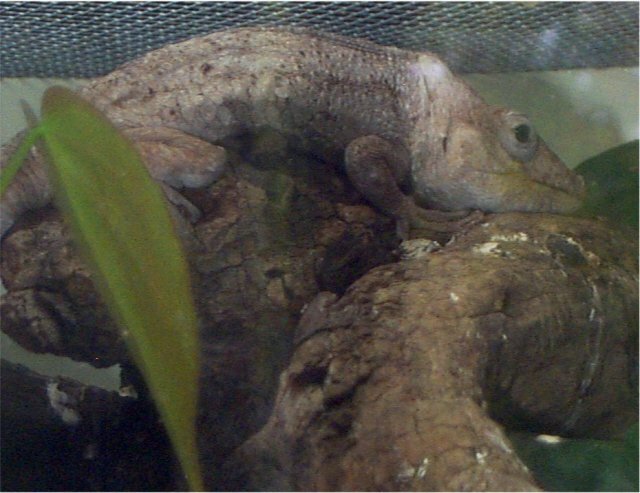 They are named for their chameleon-like behavior-- very slow movements and independent eye motion. They also have very long tongues. They are unique in that they feed predominantly on snails and insects. As their name suggests, they are found only in Cuba. The behavior of Cuban Chameleons is related tothe that of the true chameleons. Although they share some features with the true chameleons, they have no color change ability at all. In addition, they do not eat the same thing as the true Chameleons. The Cuban False Chameleon is the only one theyhave from what I saw. It is unique in that it looks and acts justlike a true chameleon, but it does not change color at all. That is why it has the name it has. Fort Worth is the first U.S. zoo to reproduce this species in captivity. Like the Iguana I own. It really just crawls around and likes to climb the branch a lot. It really just sometimes stays in one spot all day like my Iguana also and just sits there.